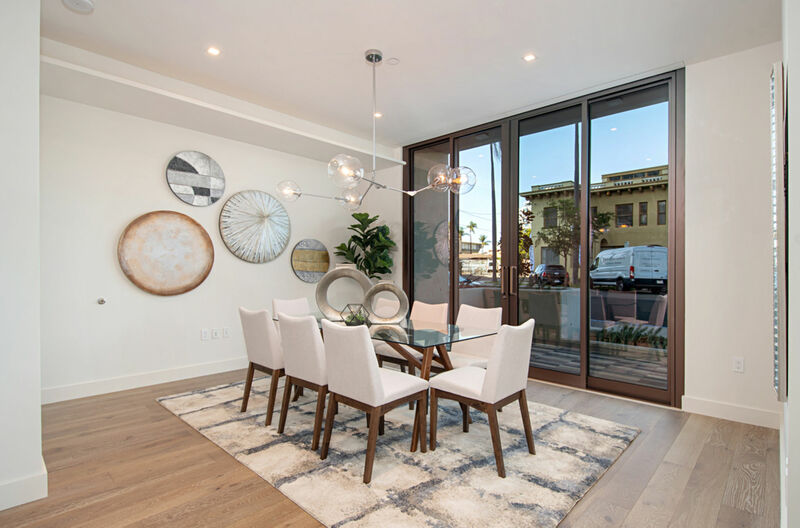 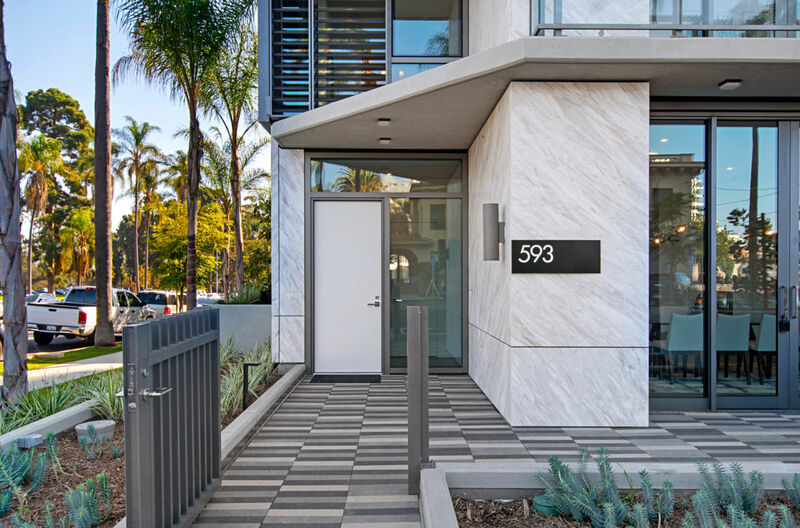 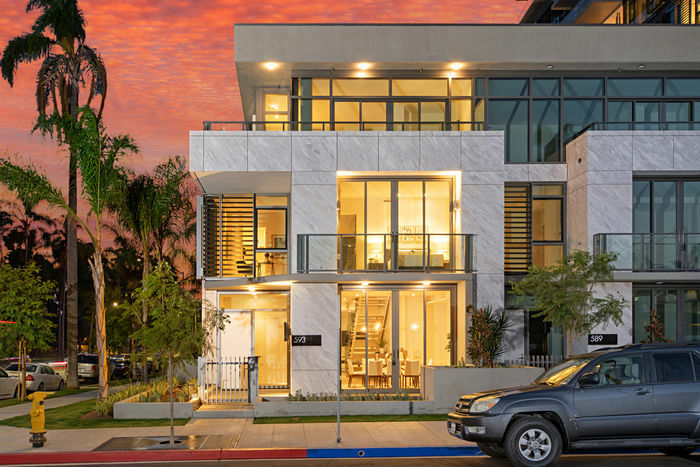 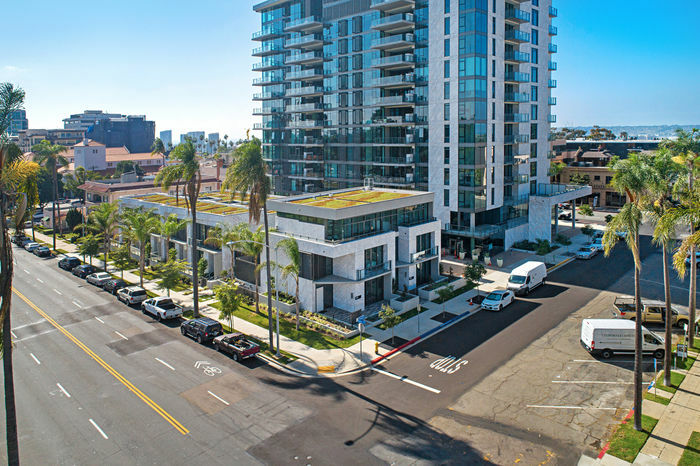 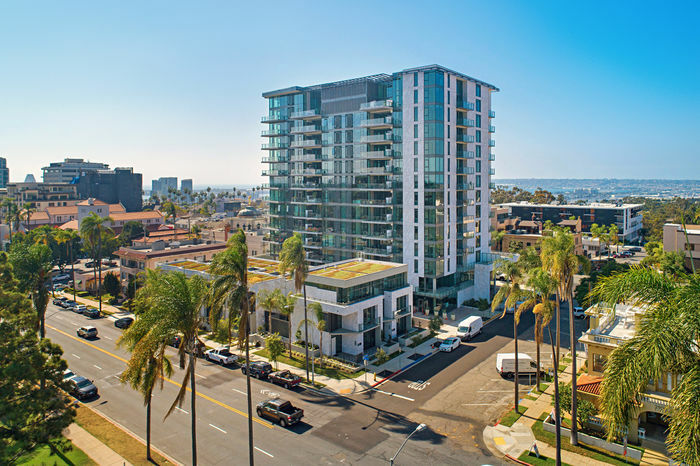 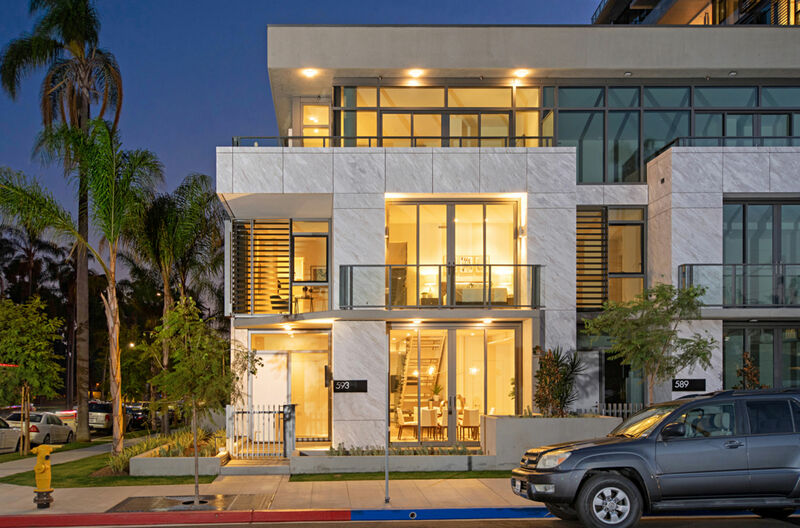 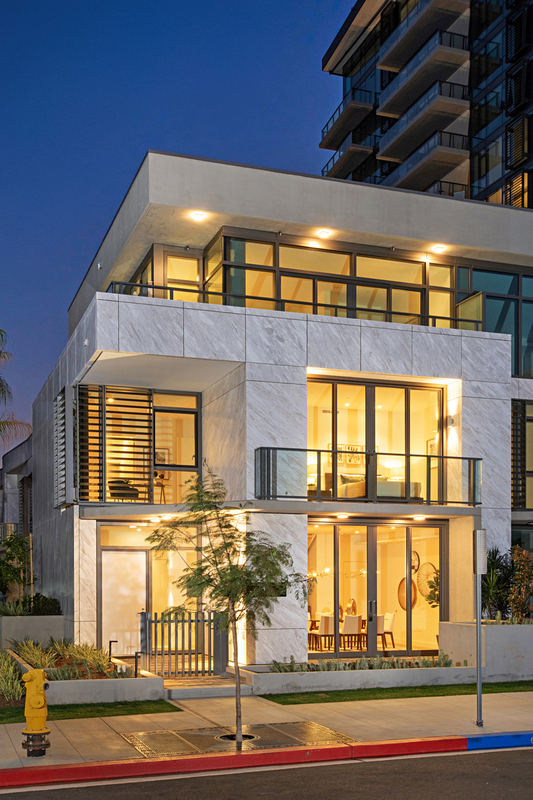 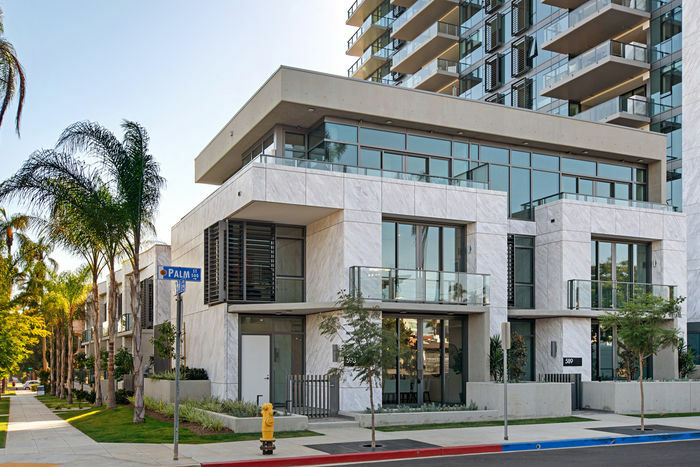 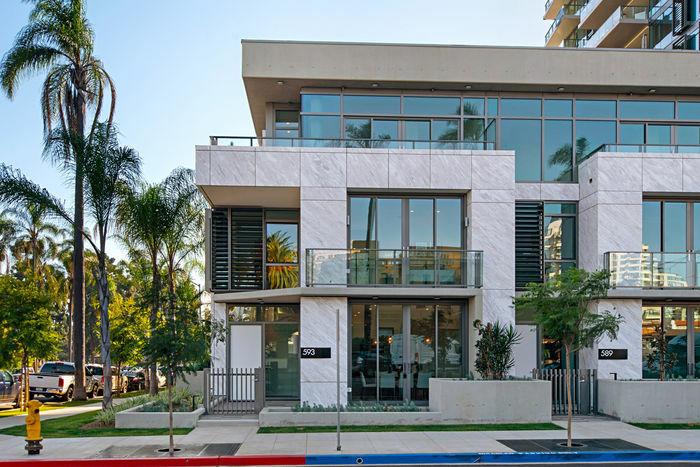 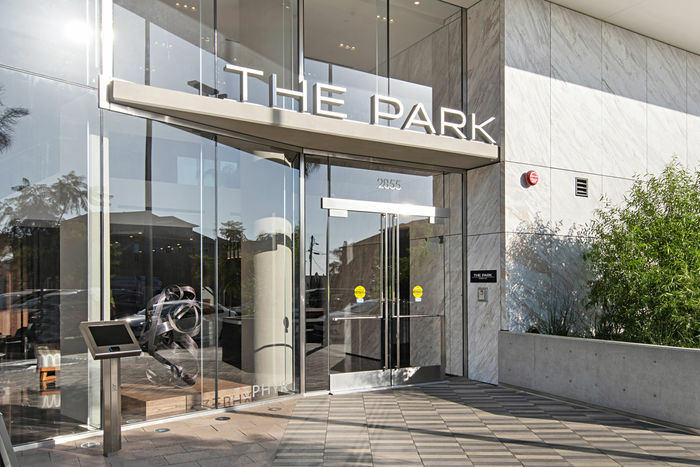 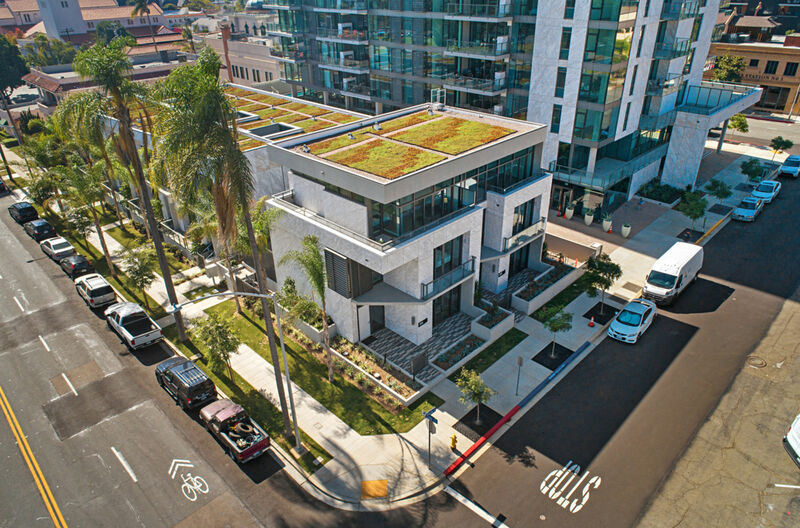 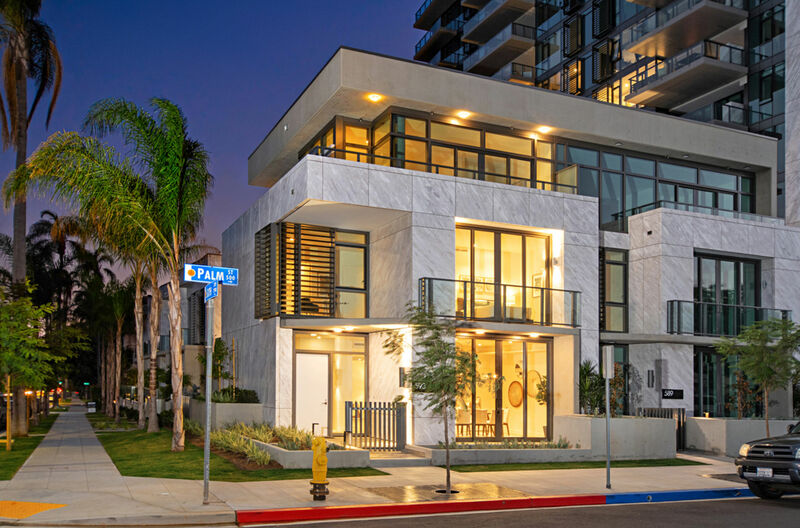 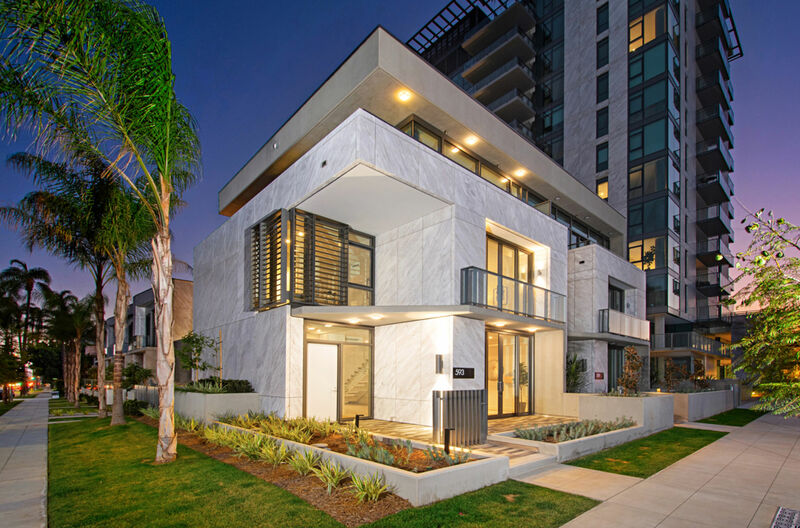 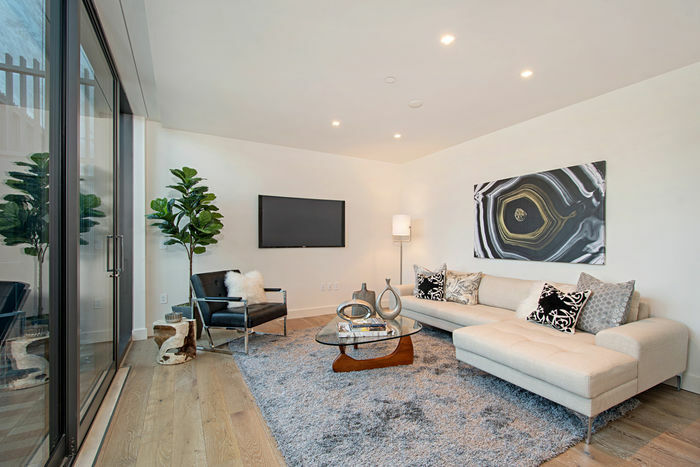 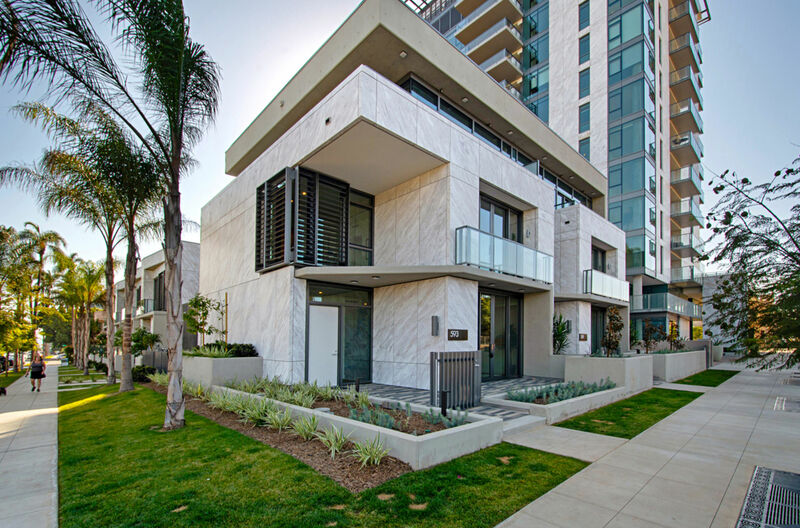 593 Palm at THE PARK, BANKERS HILL presents an exclusive and unique kind of elegance. 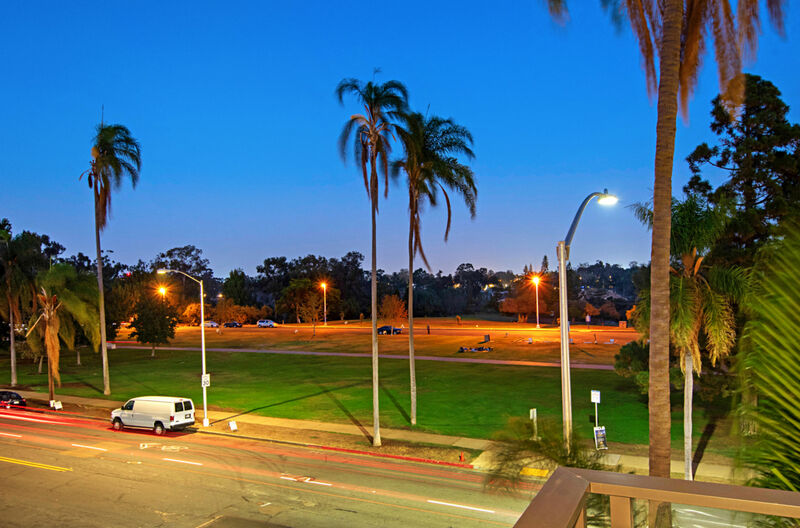 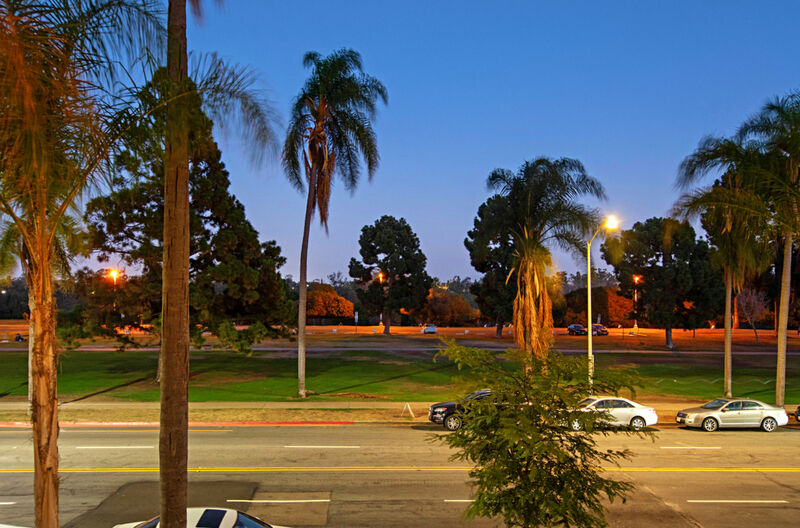 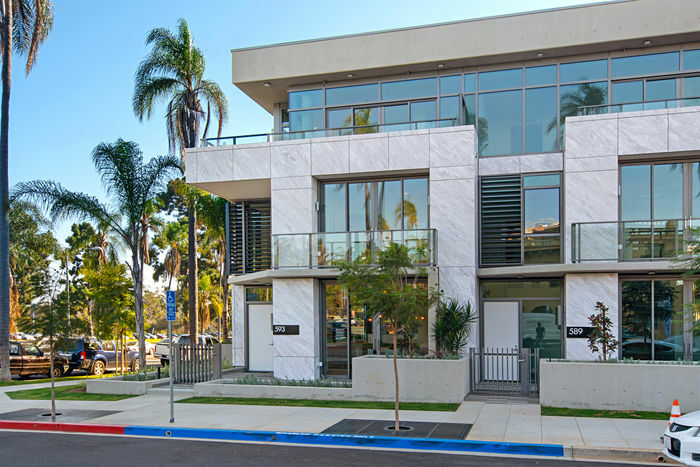 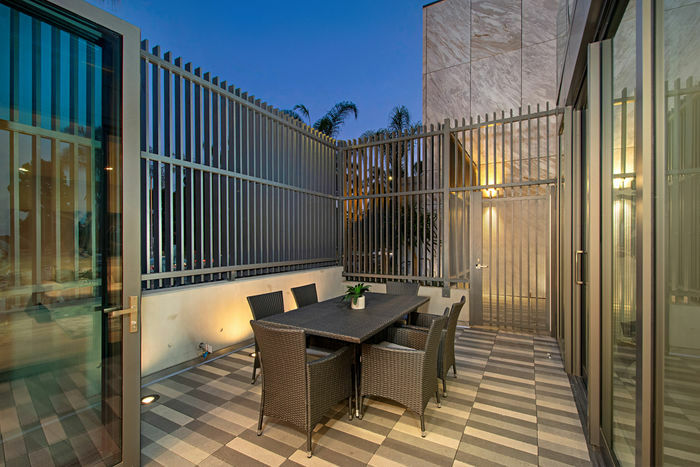 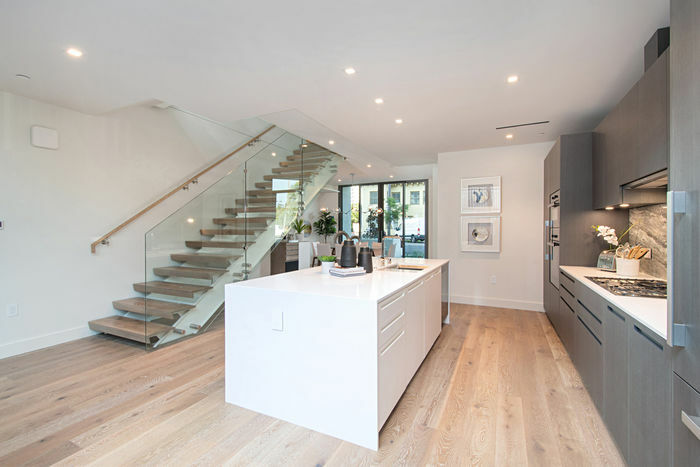 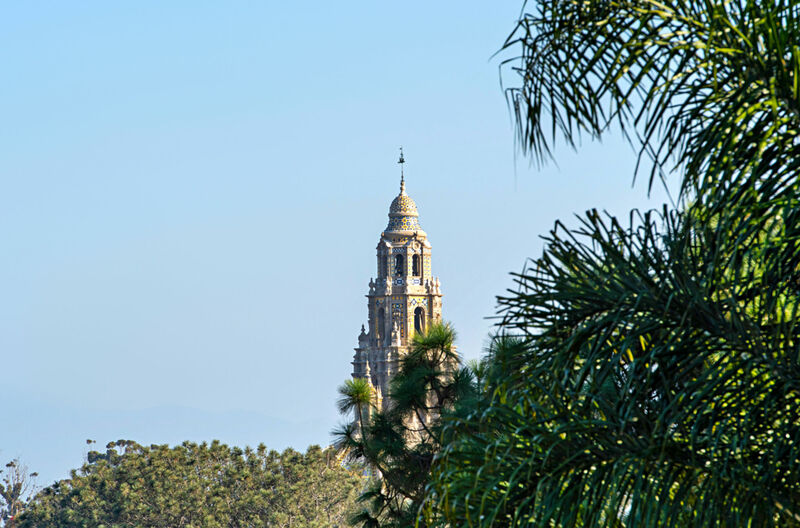 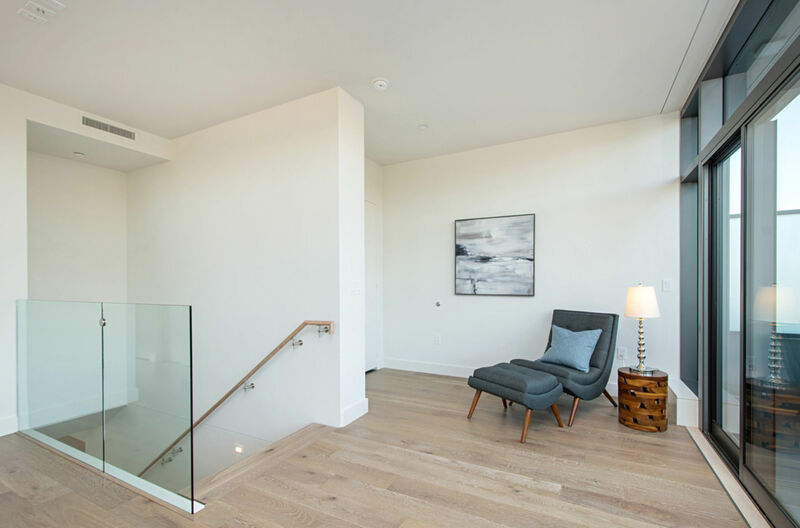 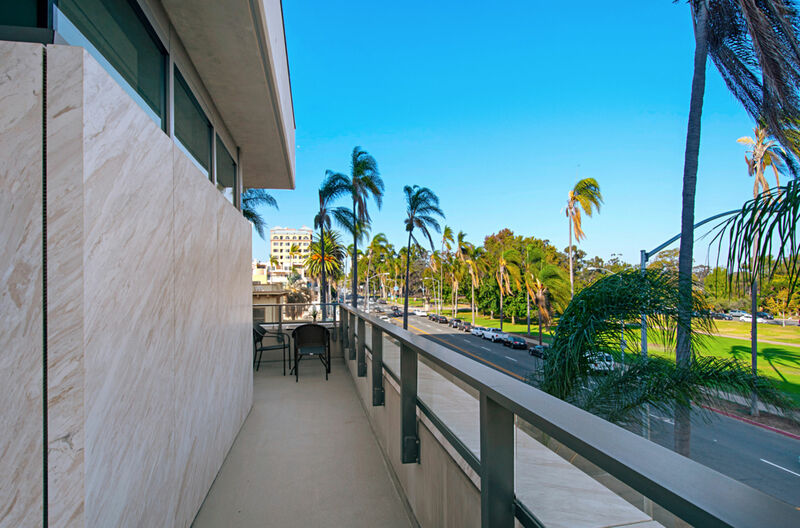 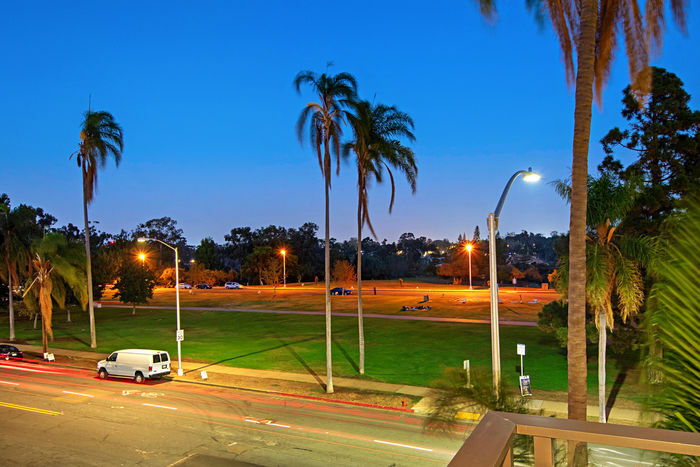 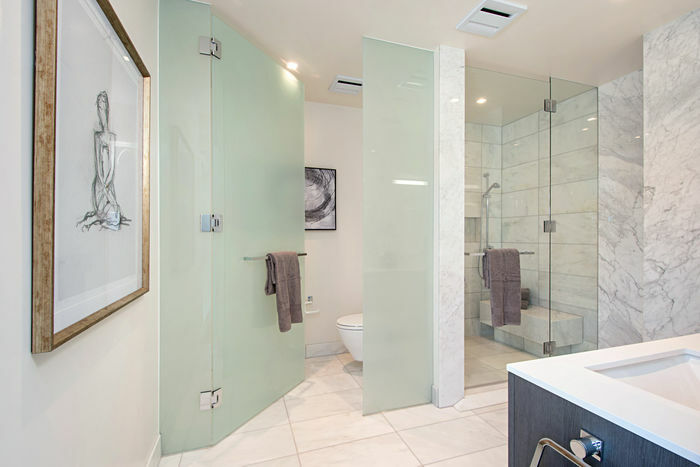 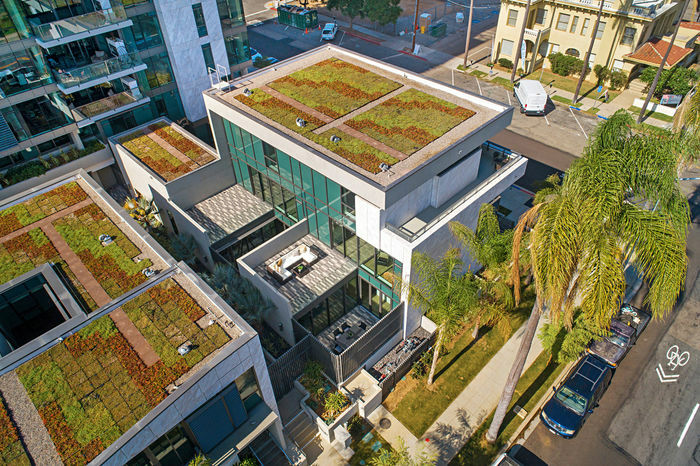 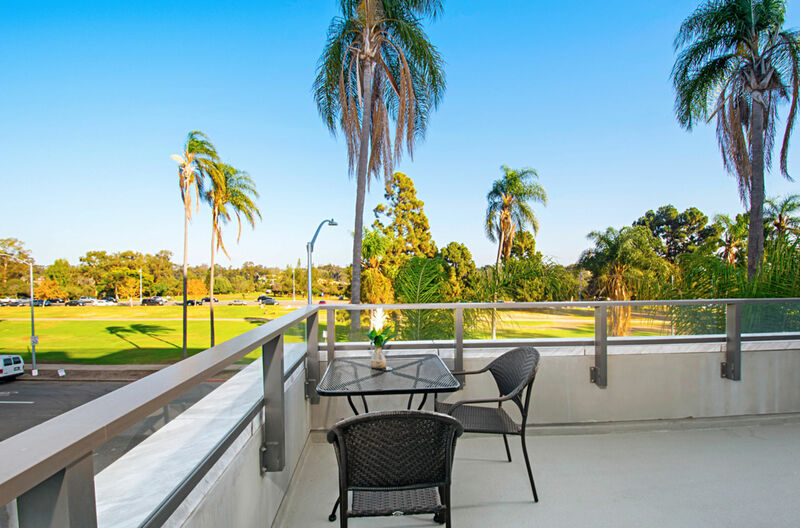 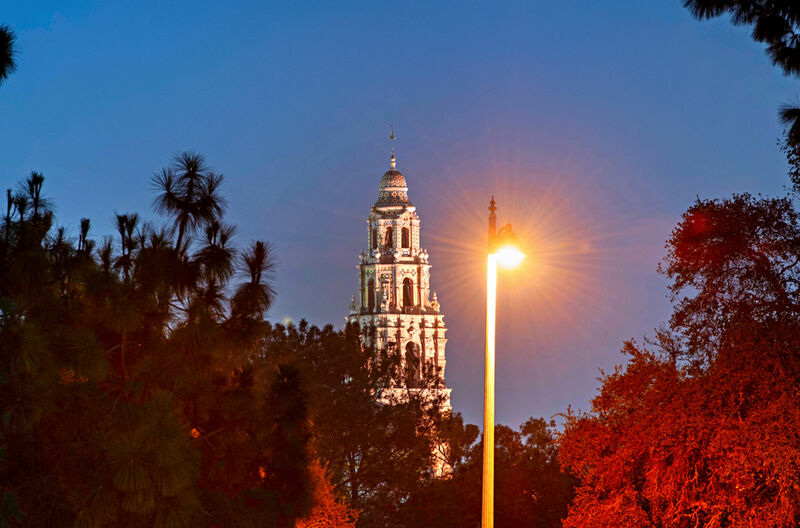 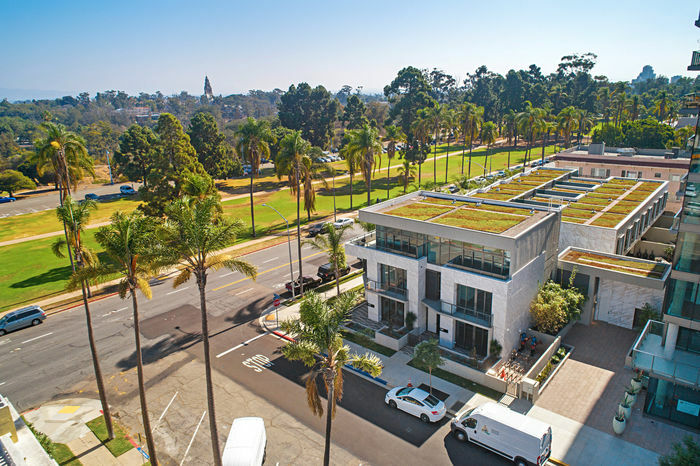 This alluring three-story townhome, with interior elevator, is located directly across from world famous Balboa Park. 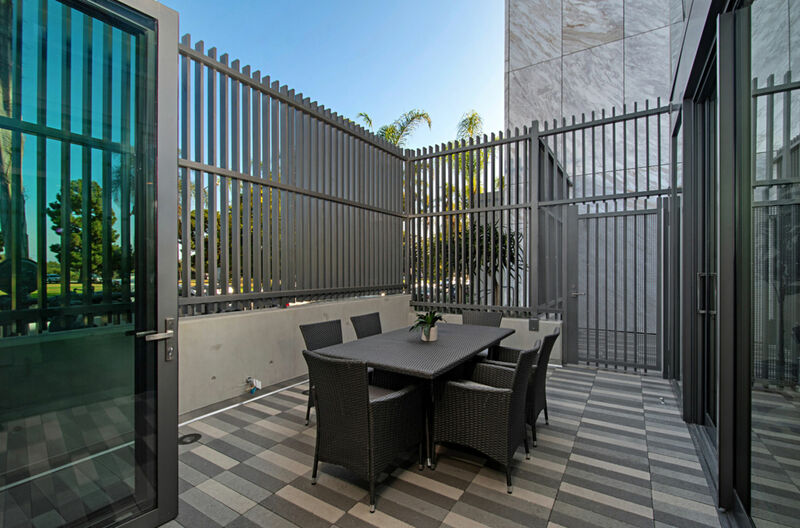 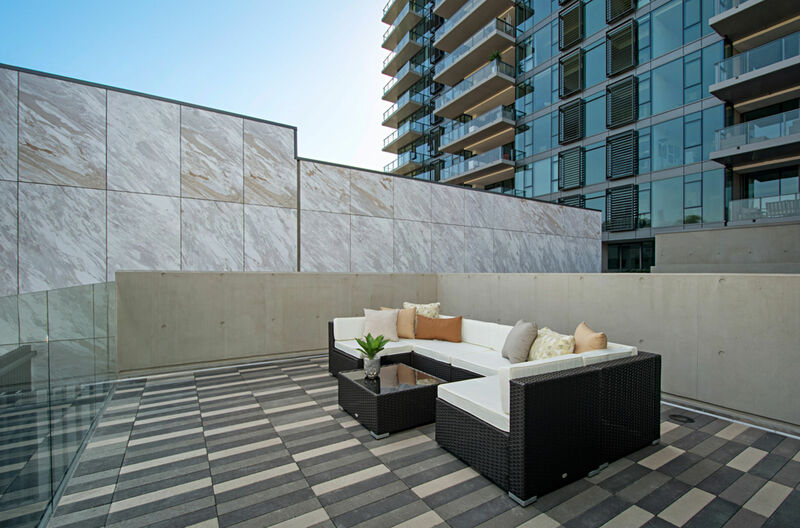 With unobstructed views, the spacious open design (plus 724 SF of outdoor terraces and courtyard) is perfect for entertaining. 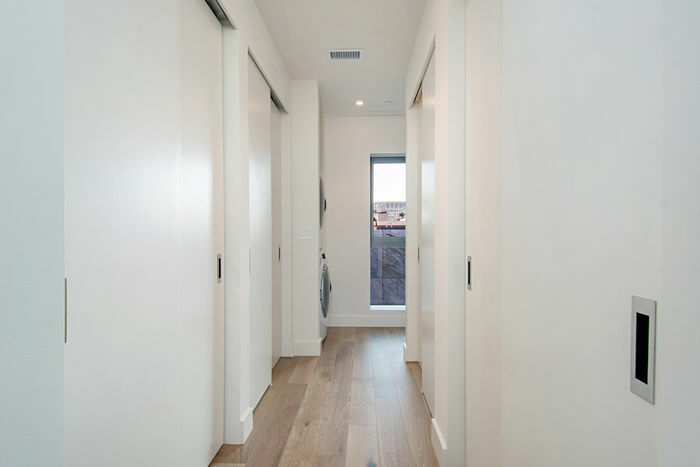 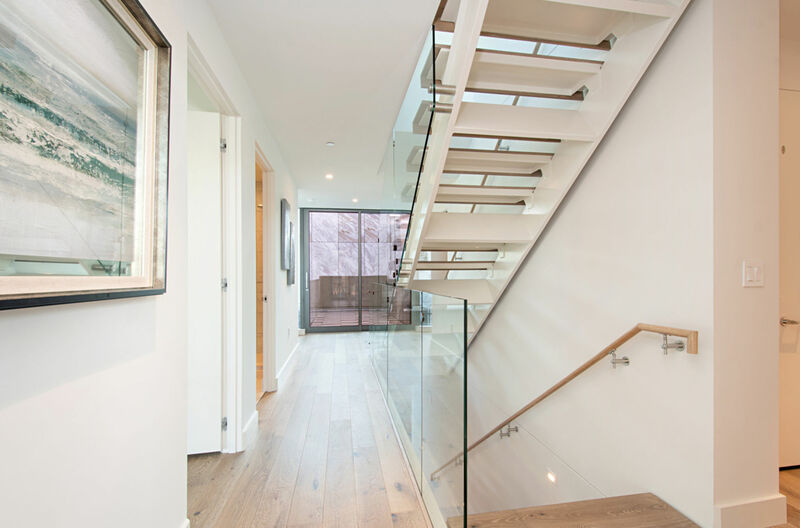 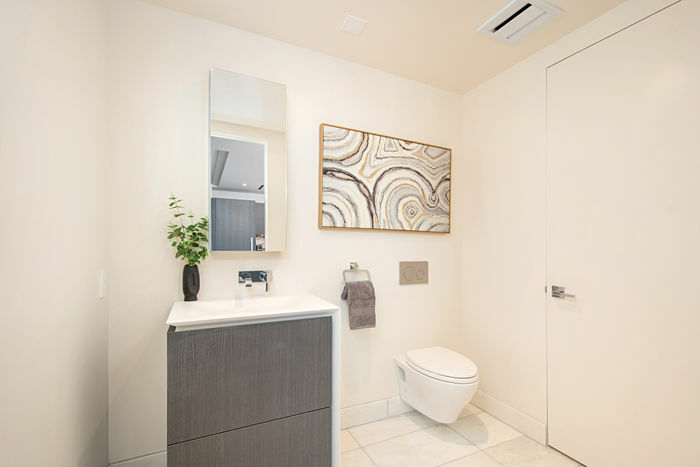 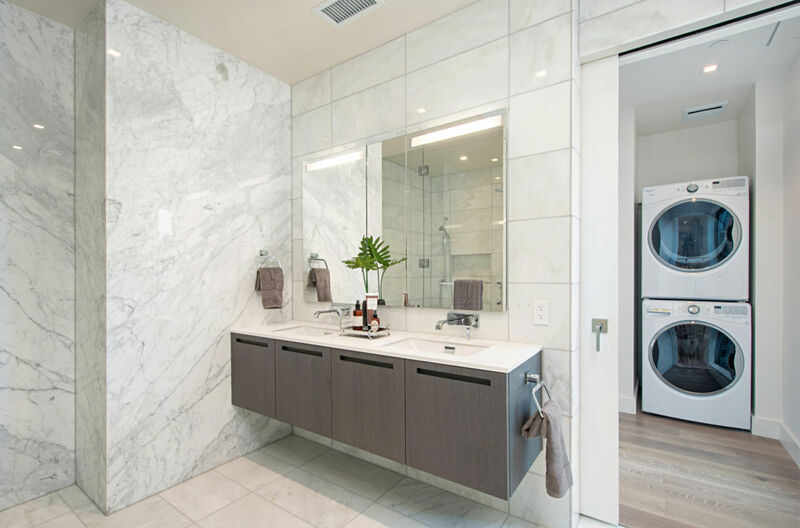 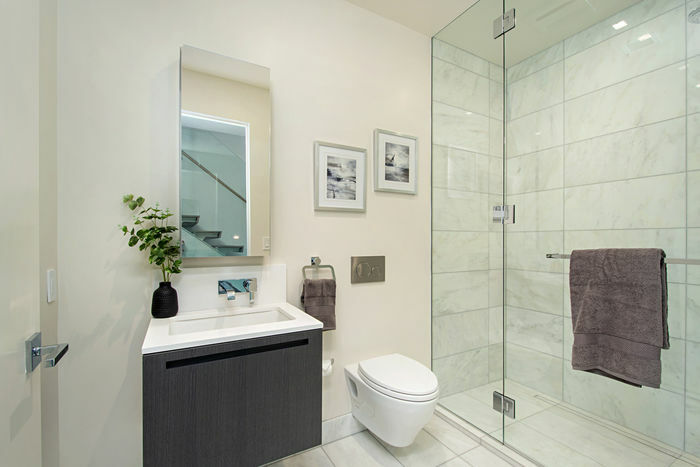 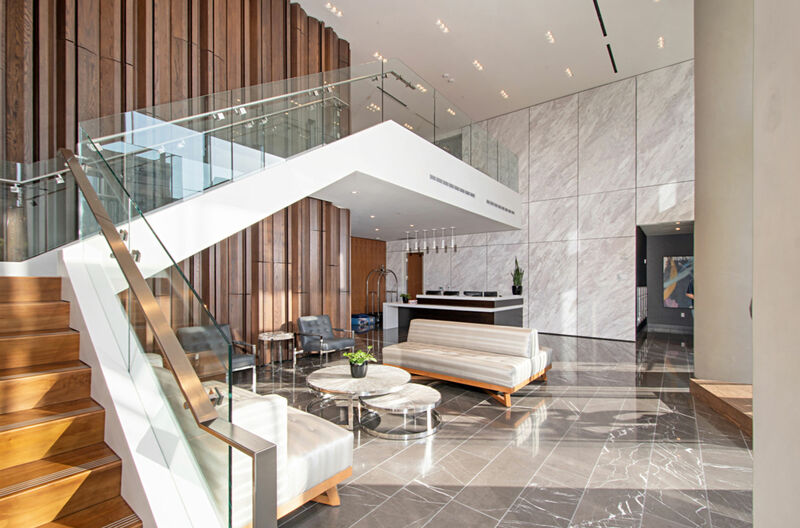 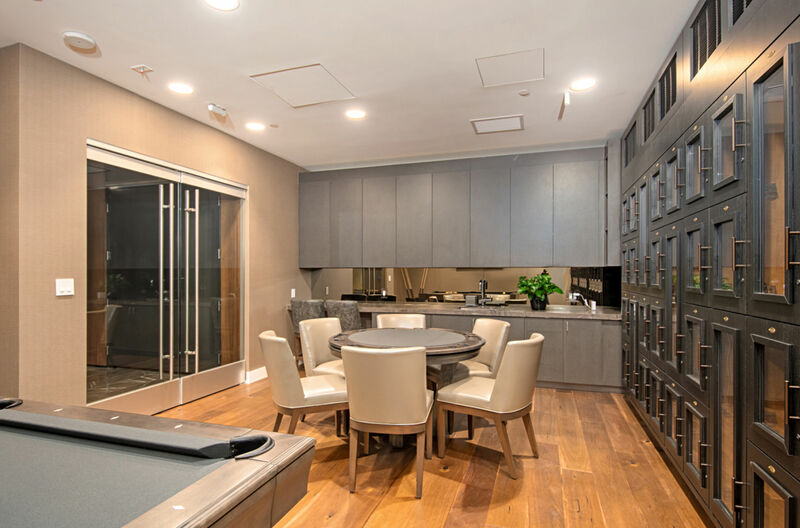 Interior features include Marble and DuChateau wood flooring, floor to ceiling glass wall sliders, 2 laundries, and much more. 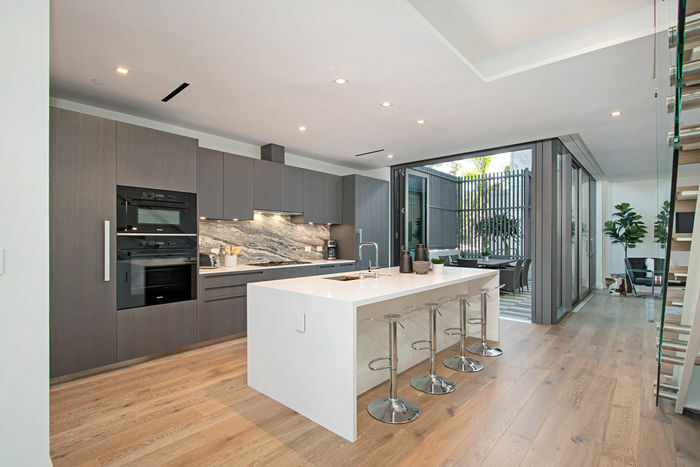 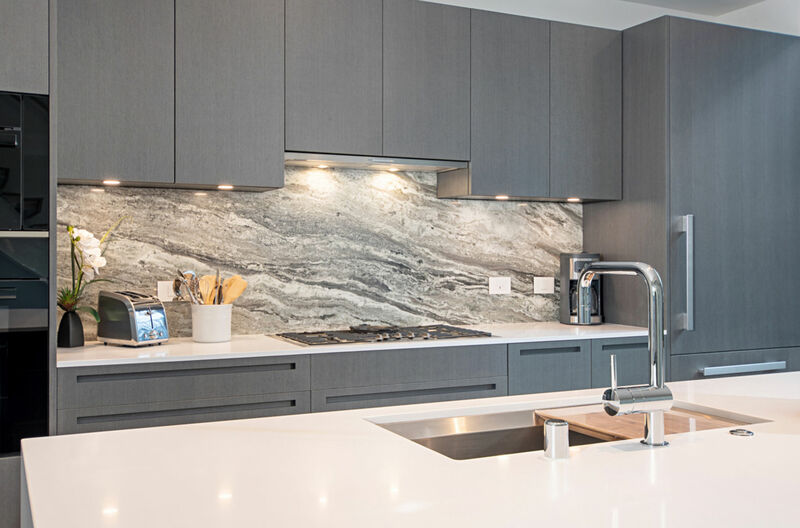 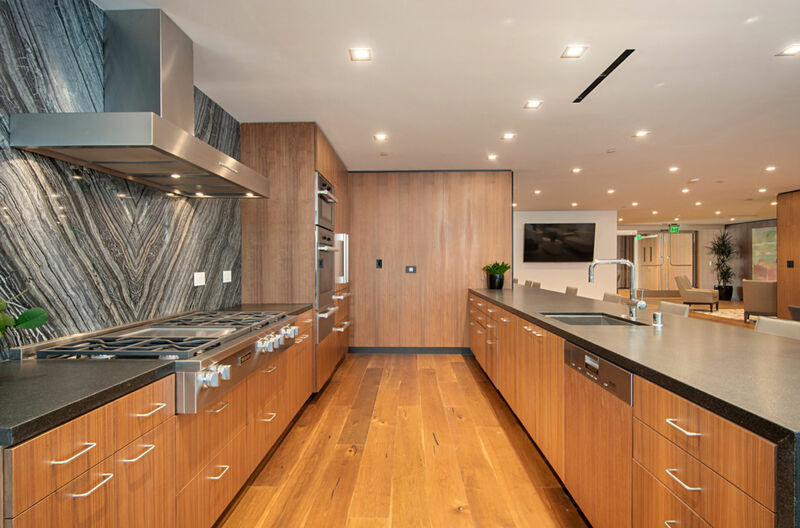 The gourmet enthusiast’s kitchen is appointed with Boffi Soft-close cabinetry, quartz countertops, center island with waterfall, marble slab backsplash, and Miele built-in appliances. 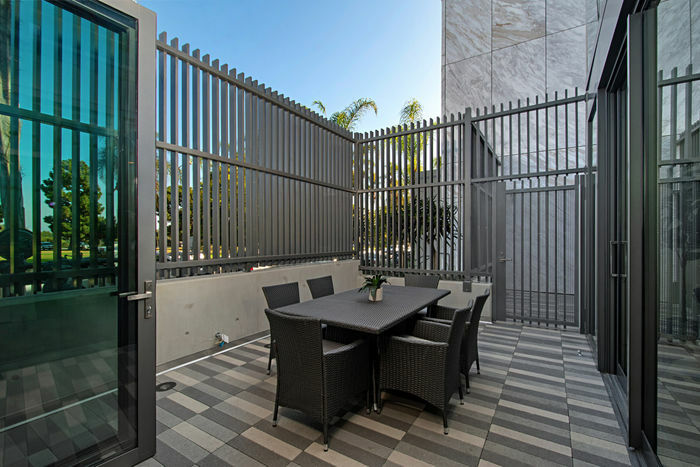 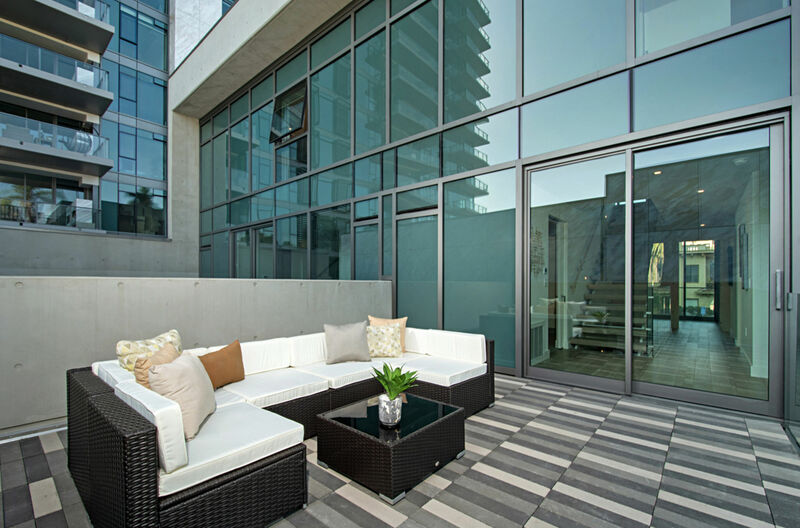 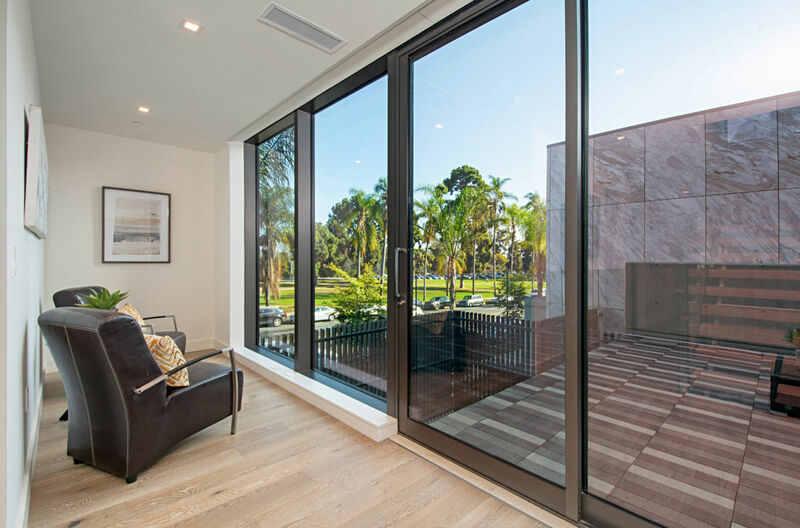 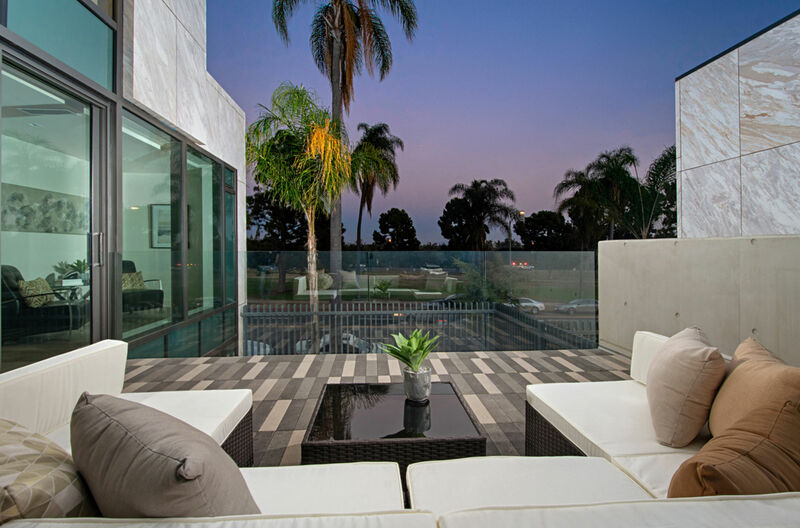 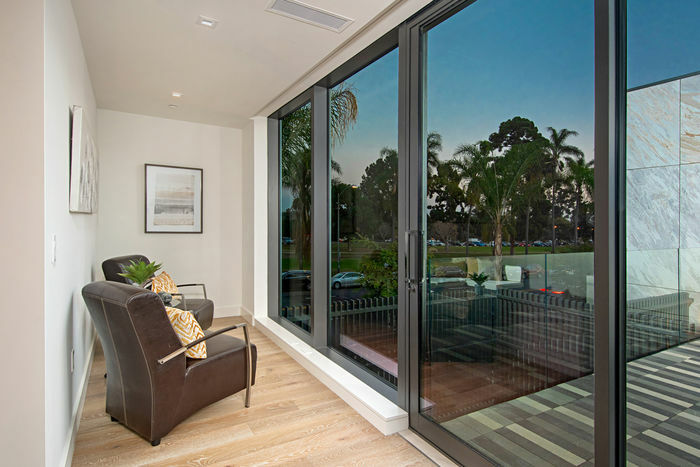 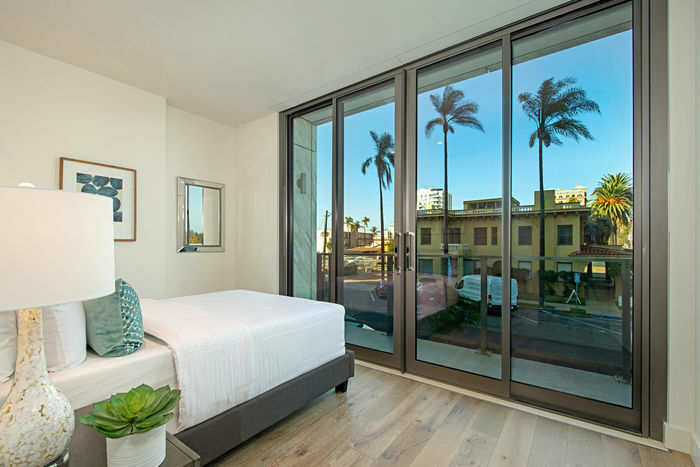 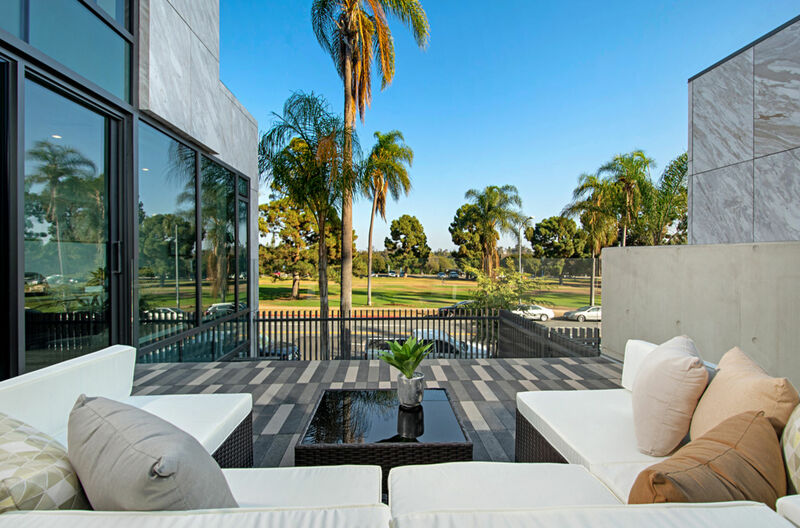 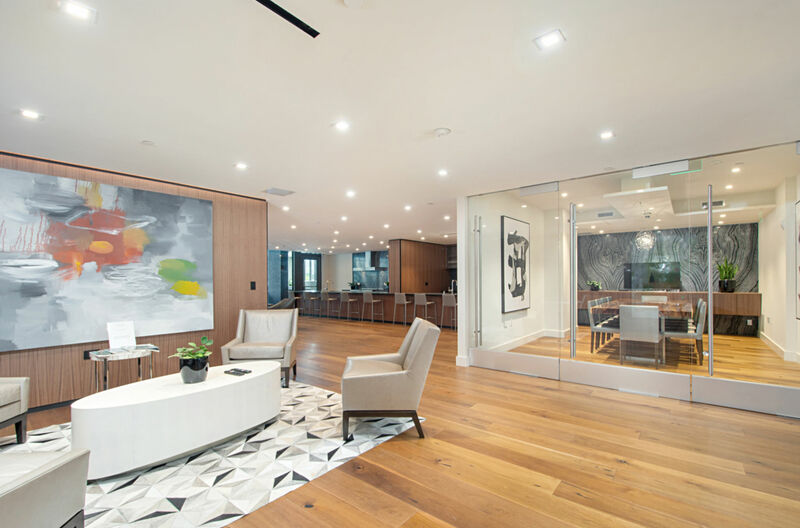 Opening to the private courtyard and adjacent living room, indoor and outdoor living combines with San Diego’s gorgeous climate. 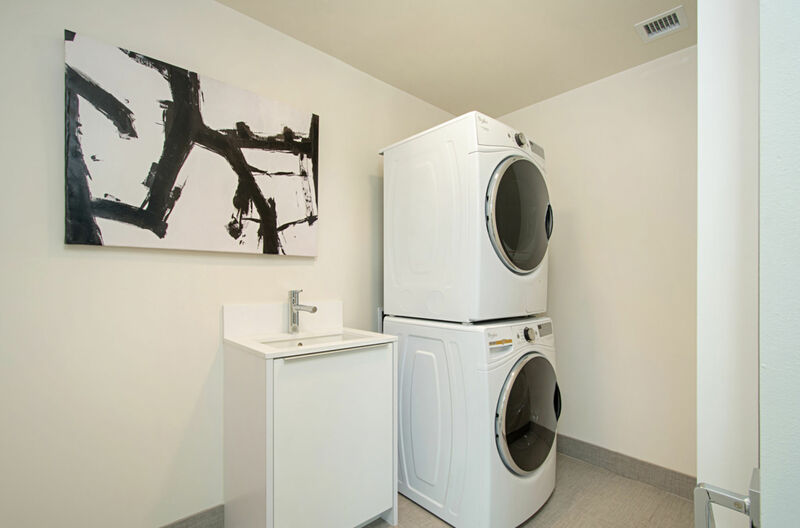 The 2nd floor includes 2 bedrooms, a retreat, laundry, and large terrace. 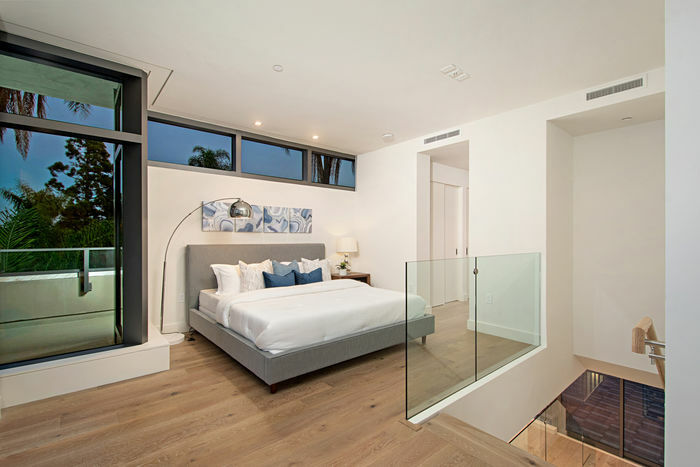 The 3rd floor is all master suite, with sitting area, wrap around terrace, laundry, and handsomely designed bathroom. 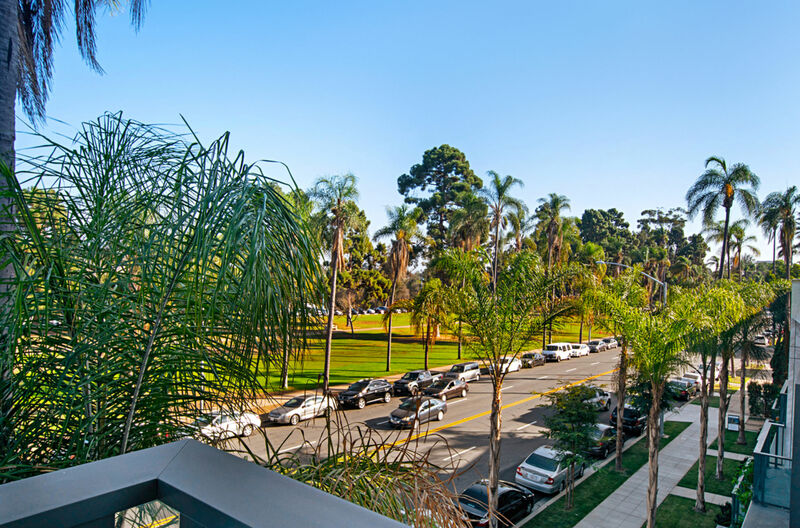 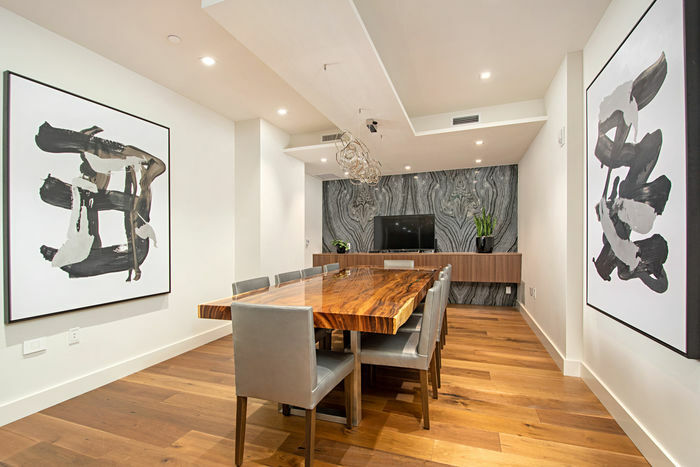 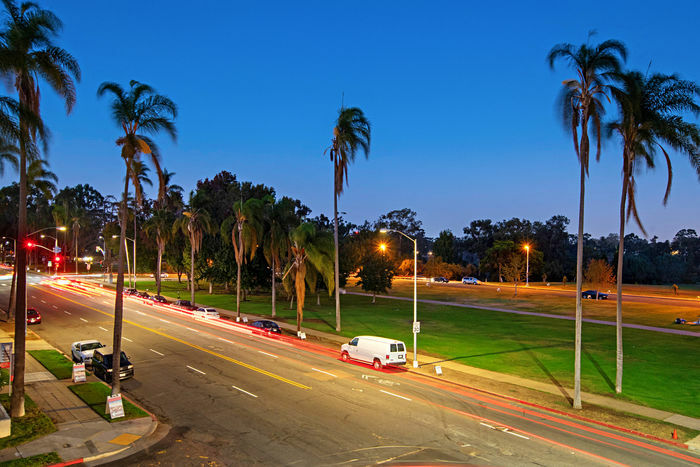 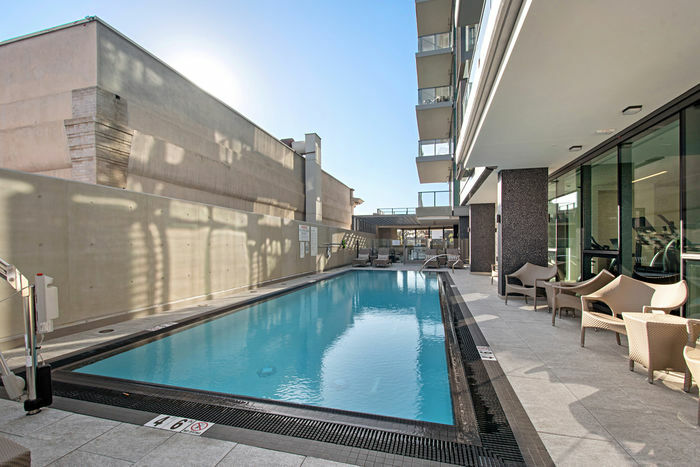 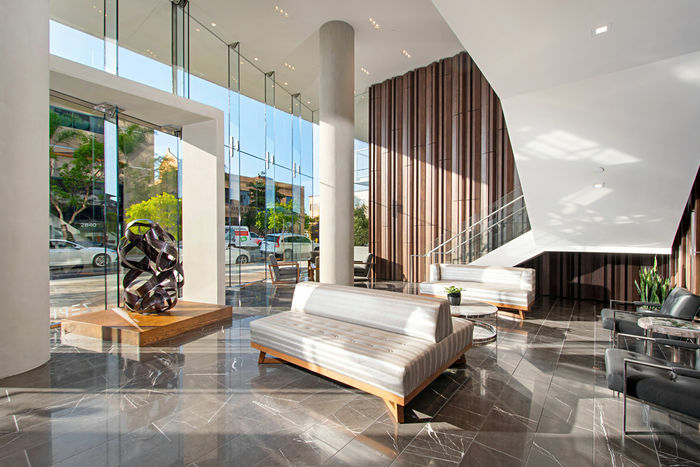 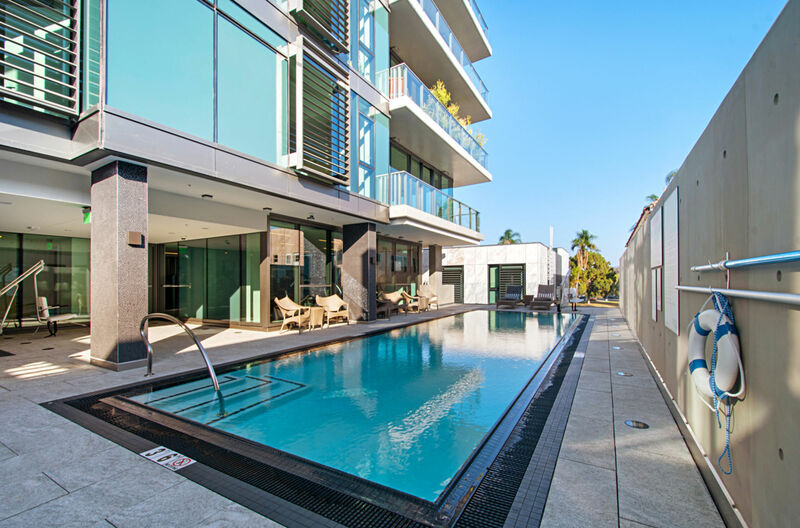 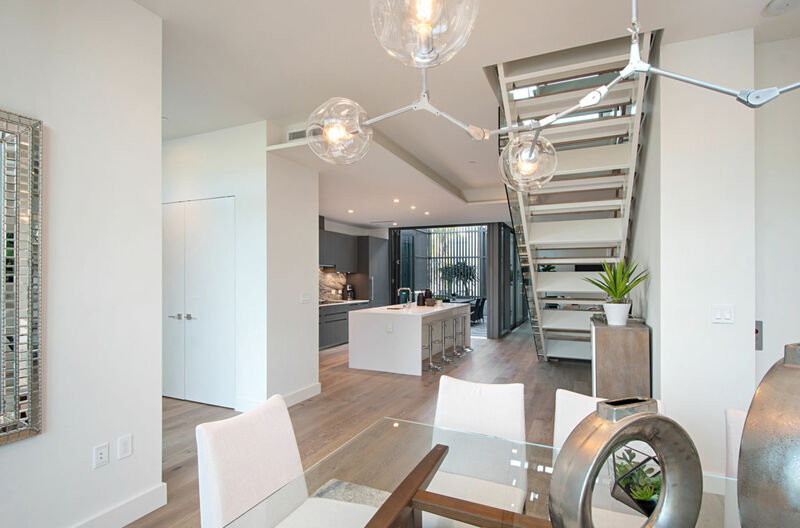 Minutes to downtown, and neighboring uptown communities, a multitude of dining experiences, arts & entertainment, recreation, shopping, and beautiful beaches. 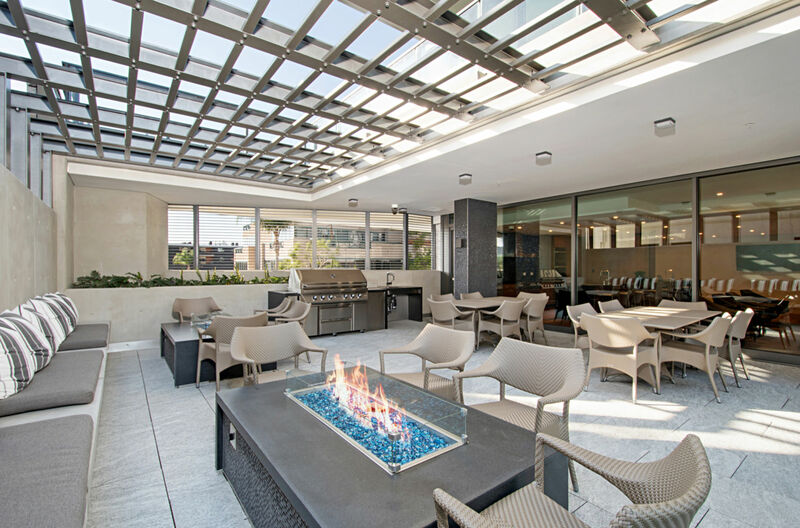 Association amenities include resort-style pool & spa, outdoor lounge area with BBQ & custom fire pits. 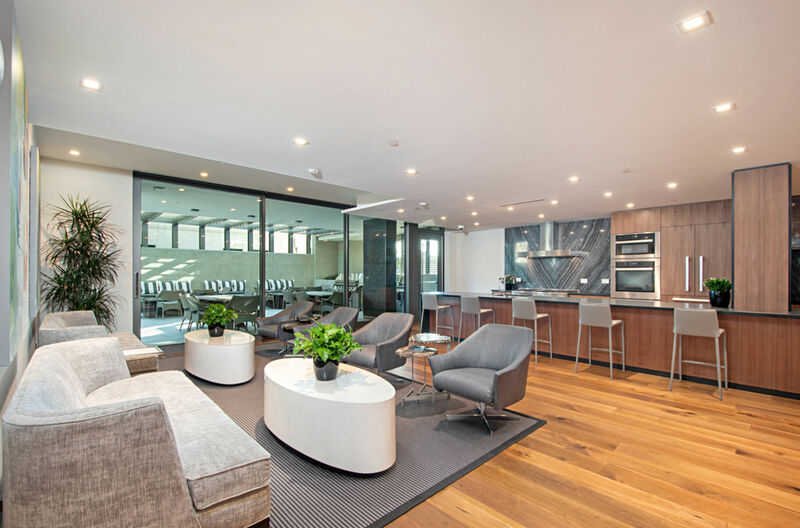 Club Room with fully equipped kitchen, living area, dining (or meeting) room, available for private events. 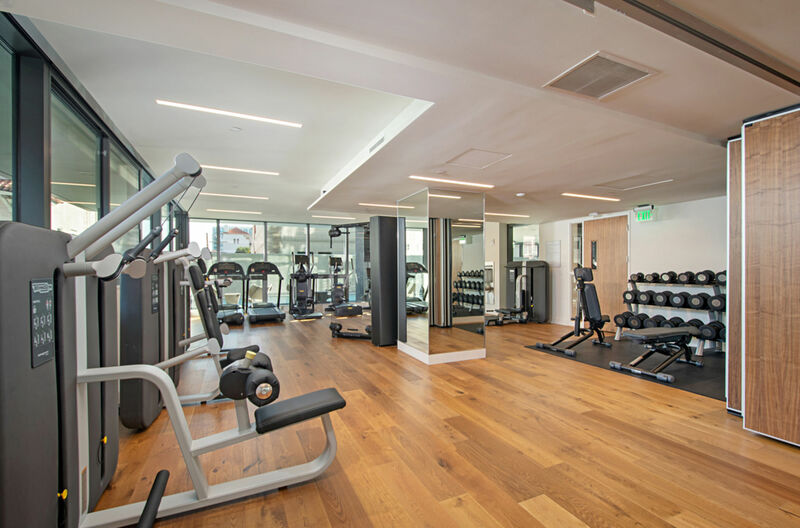 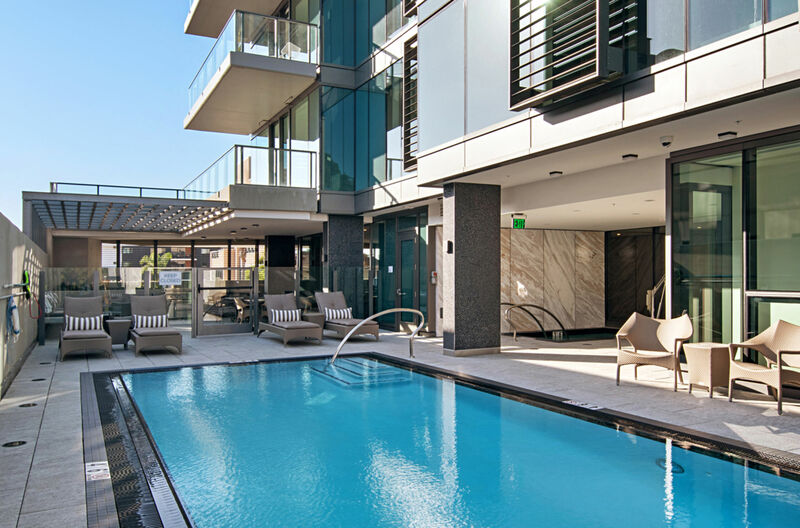 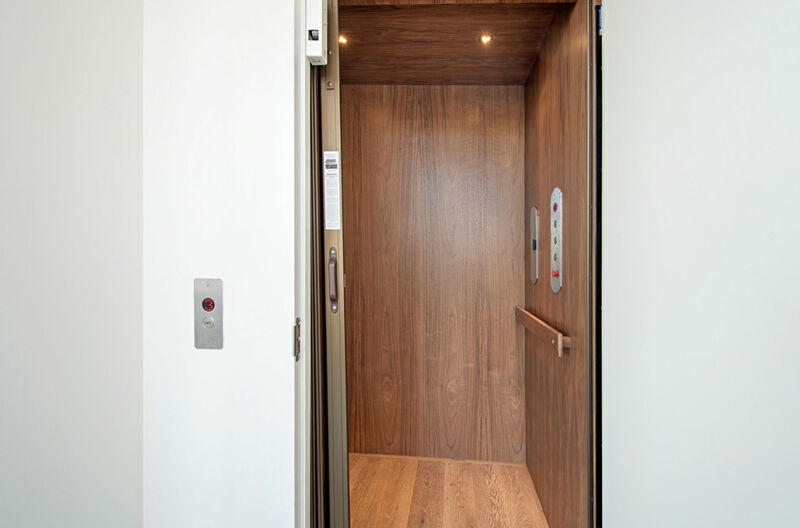 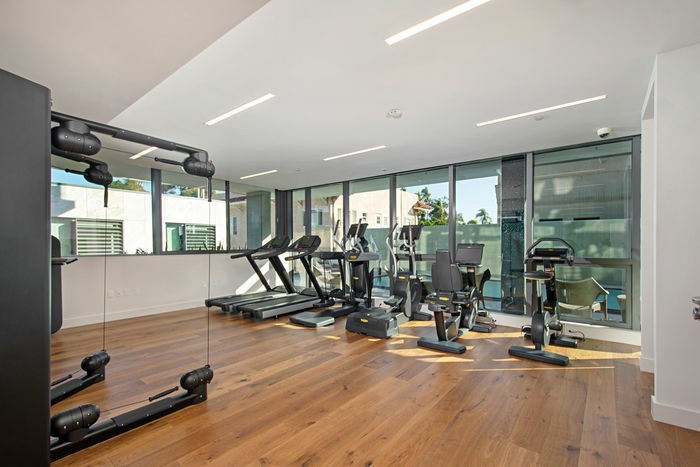 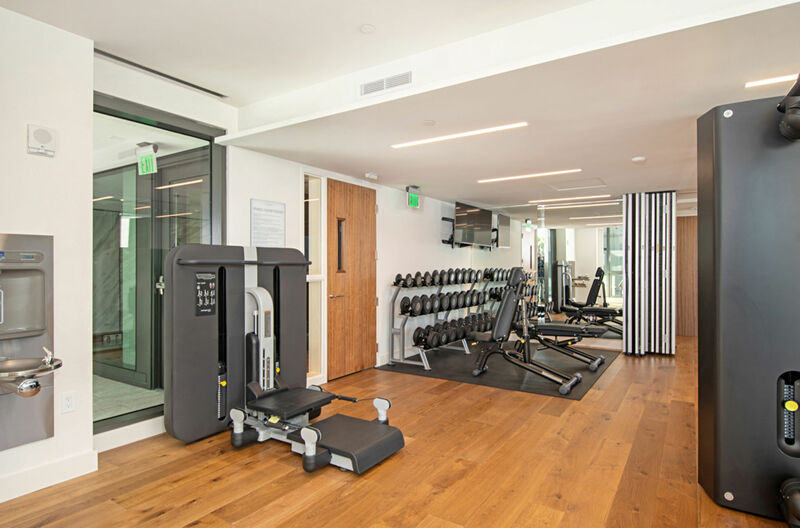 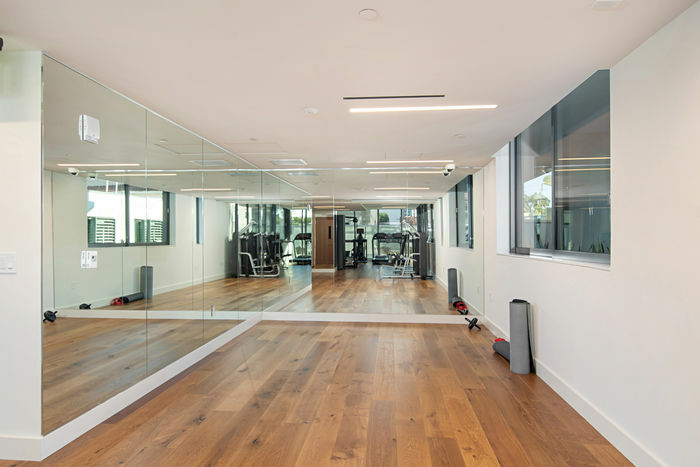 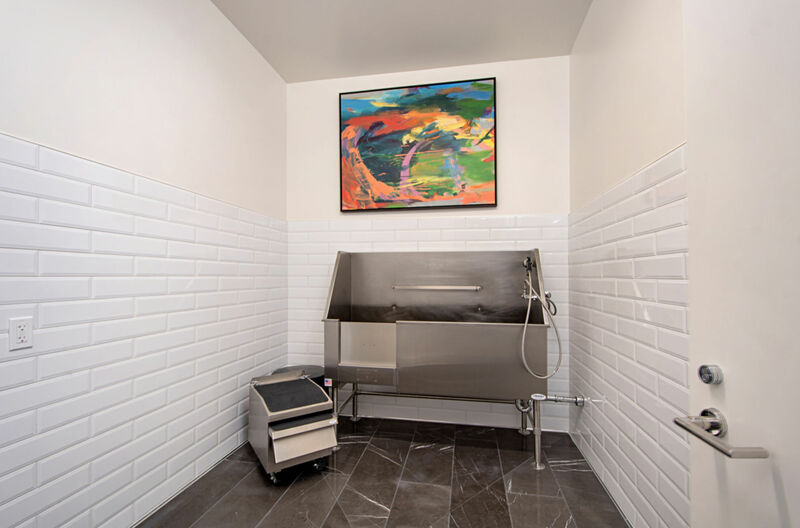 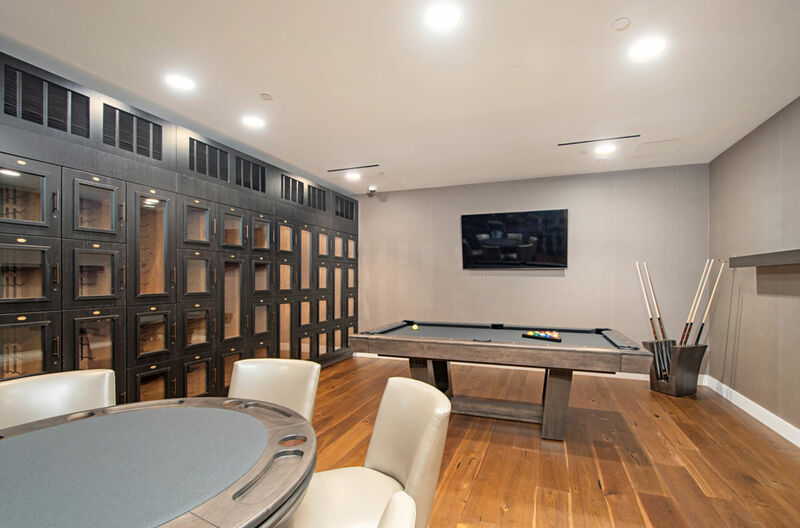 Fitness Center with Technogym Wellness equipment, weights, & yoga studio, Wine Room with storage lockers, billiards and poker table, 2 guest suites, and a dog wash!